I don’t remember having a single spot or blemish during my teenage years, honestly, not one. It wasn’t until I was in my mid-twenties that I started experiencing bad breakouts! 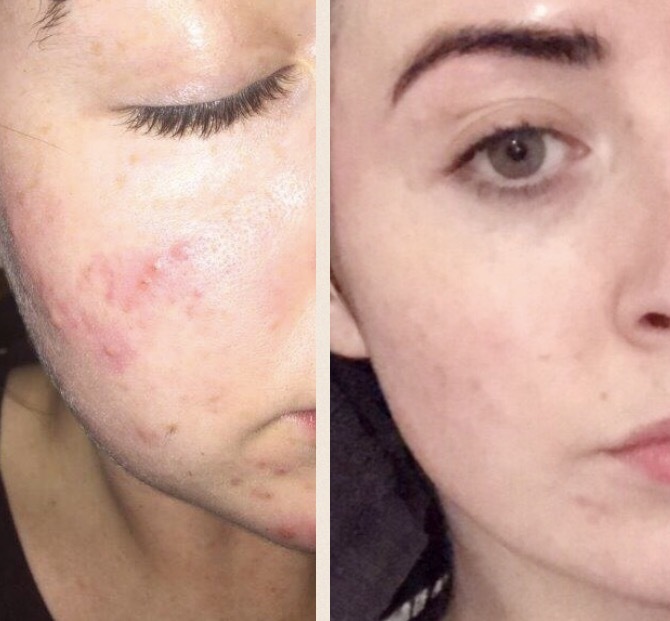 Below, I touch on all the things that I believe made my skin go from how it looked before (image above on the left) to how it looks now (image above on the right) in the hope that it’ll help at least one person (that would be amazing). I couldn’t understand the breakouts because I had always maintained a very strict skin care regime (my mam made sure of it!). I spent hundreds on products to try clear it up (thousands by the time we reach the end of this post) but nothing worked. As soon as it cleared up, it would break out again. It was very frustrating and anyone with bad skin will agree that it really takes its toll on you mentally. I eventually went to my GP who, over 3 visits, prescribed me with 3 different antibiotics; each one stronger than the last. After the last antibiotic failed to work, she concluded that the breakouts weren’t due to bacteria and said I may have a food allergy. Since the most common allergens are wheat and dairy, she recommended that I cut them out separately (before I paid €280 for a test). I agreed to this but the next day whilst shopping in The Square, Tallaght, I seen that Dr. Acupuncture had a special offer of €49 for an allergy test. It was a done deal! The process was very straight forward. They cut a piece of my hair and sent it off to a lab to be tested. 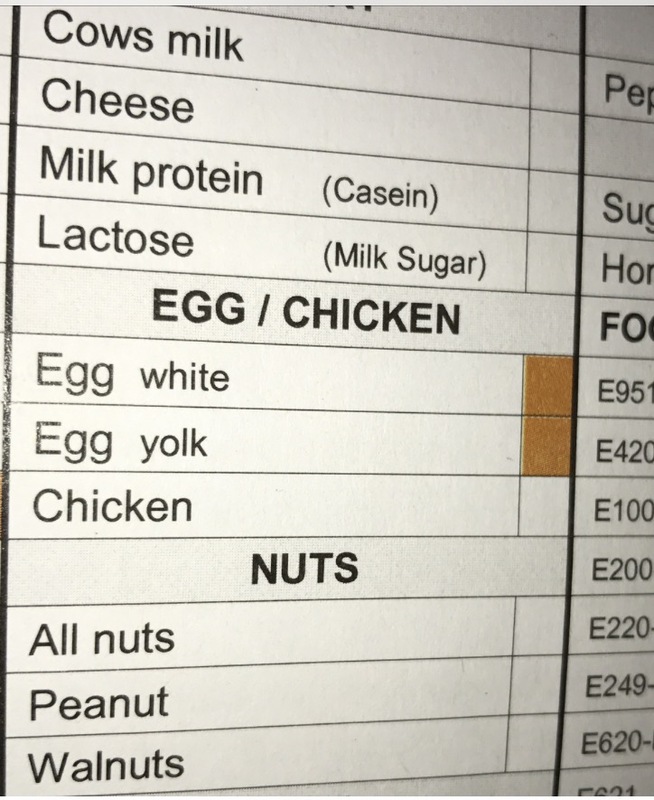 After about 10 weeks, I collected the results (an 18 page document) and was shocked to find that I had an allergy to… eggs! That blew my mind because I had eaten eggs my entire life. My workplace, at the time, had recently opened an omelette bar and I was eating more eggs than I’d usually eat. Hence the blisters on my cheeks! That’s what the breakouts resembled, blisters rather than spots; and they were so itchy! So, I cut eggs out of my diet completely and my skin cleared up; it was incredible. Even though I never picked or squeezed my spots (I know, gross! ), I was left with scars on my cheeks. It was 9 months until my wedding and they needed to be gone so I went to Therapie Clinic in The Square, Tallaght for a skin consultation. The girls there are so friendly and extremely knowledgeable and passionate about skin care. They recommended Image Skincare Acne Peels and so I booked a course of 3 (on a 3 for 2 offer). 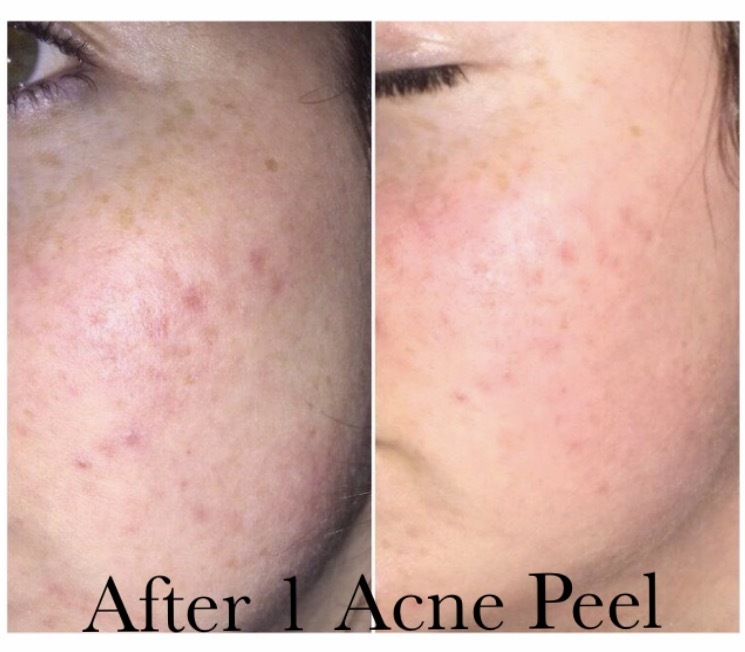 Although I noticed a massive difference in my skin after all 3, it was after the first peel that I was most impressed. My skin was so smooth, the scars had faded so much and when I woke up the next morning the colour of my skin was different. The pinky-reddish tone had diminished and it looked almost porcelain (it has retained this colour). As I mentioned, I’ve always maintained a good skin care routine but it has changed a lot over the years. You can read about some of my favourite beauty products here. P.S. While writing about how great my skin is, a lovely new spot appeared on my chin, it’s definitely mocking me!